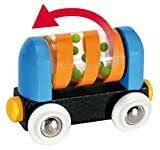 Are you looking for a classic wooden train set for your toddler? 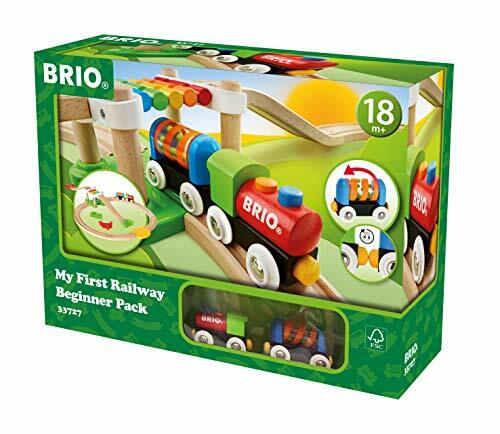 If you are why not check out BRIO's "My First Railway" range of toys! 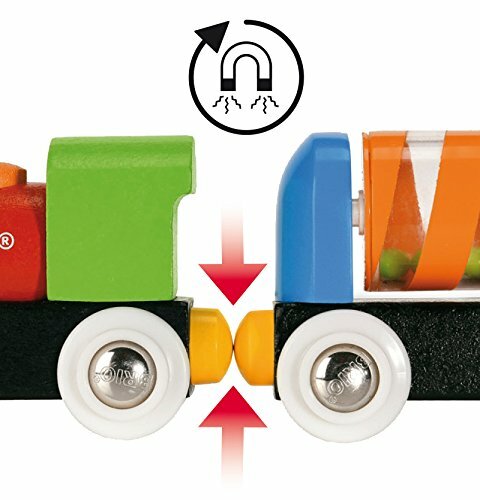 With hardy construction and playful colours these sets will encourage your child's hand-eye coordination and dexterity. The 'My First' Railway Beginner Pack is the ideal first set for a playful toddler. 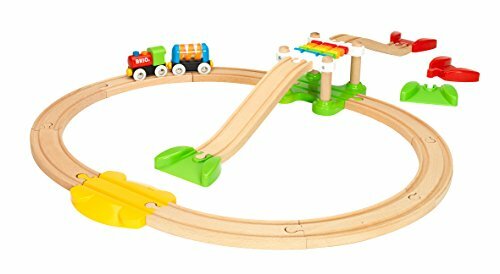 It includes ascending wooden track so the trains can go up and down, a colourful bridge and a wagon that makes a lively noise. Finished in bright red and green this toy will spark creativity and help develop hand-eye coordination. Track layout measures 65.3 x 99.4cm. 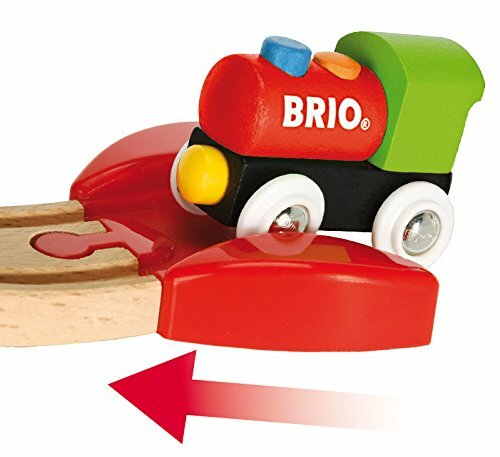 Manufactured to BRIO's high standards and from FSC Certified wood. 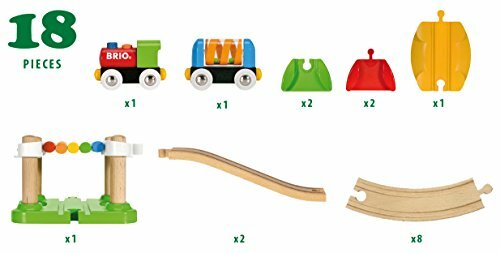 Each set is fully compatible with other BRIO sets, tracks and trains. BRIO products are made from very high quality plastic and Beech wood from sustainable sources. The trains, wagons, carriages, and road vehicles all feature the classic BRIO magnetic couplings allowing for easy connection to each other.